“I stand before you as the granddaughter of an iron ore miner, the daughter of a teacher and a newspaperman, the first woman elected to the United States Senate from the state of Minnesota, to announce my candidacy for president of the United States,” she told a large crowd as it snowed heavily. Klobuchar laid out an agenda including universal healthcare, a constitutional amendment to overturn the Citizen’s United Supreme Court decision, rejoining the international climate agreement, gun control legislation and advocating for criminal justice reform. 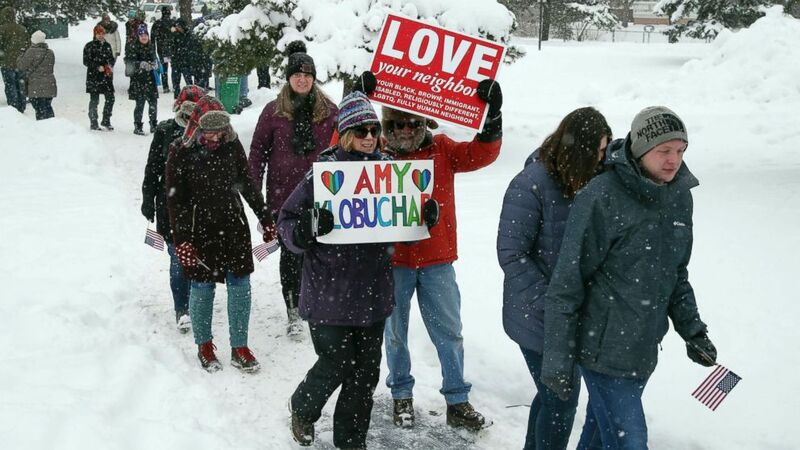 (Jim Mone/AP) Snow falls as rally goers arrive at Boom Island Park for Democratic Sen. Amy Klobuchar’s announcement of her decision in the race for president at a rally, Feb. 10, 2019, in Minneapolis. 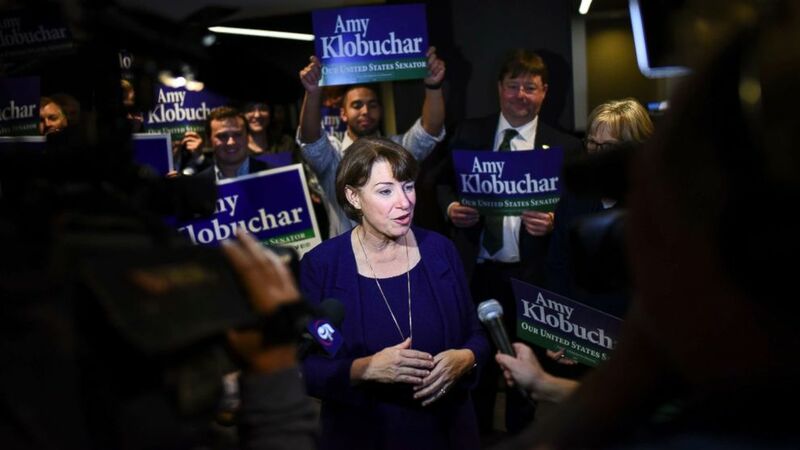 “Senator Klobuchar loves her staff — they are the reason she has gotten to where she is today. She has many staff who have been with her for years — including her Chief of Staff and her State Director, who have worked for her for 5 and 7 years respectively, as well as her political advisor Justin Buoen, who has worked for her for 14 years — and many who have gone on to do amazing things, from working in the Obama Administration (over 20 of them) to running for office to even serving as the Agriculture Commissioner for Minnesota. She is proud of them and the work they have done for Minnesota,” a campaign spokesperson said.